I don't know about you, but for me -- The Infamous Stringdusters appear to be on a roll. Red Rocks, A Grammy nomination, a new guitarist -- and an even newer mandolin player.. 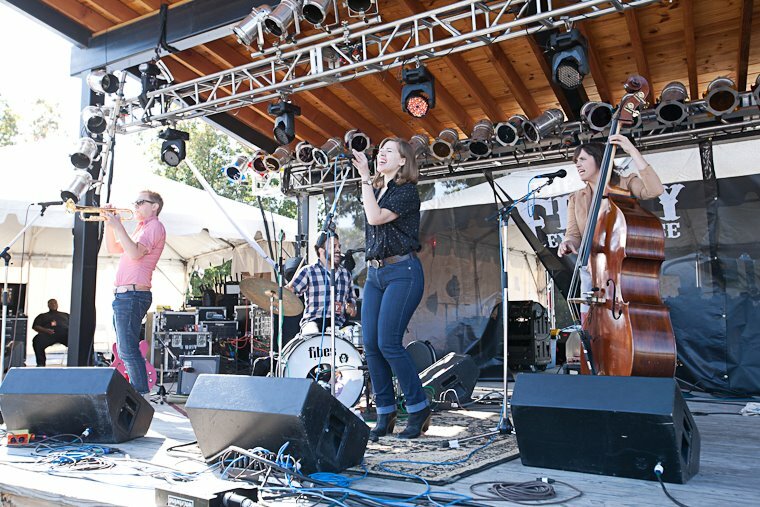 They have a new release expected in the spring on their own label, High Country Records.. And just this past Columbus Day Weekend, a gathering at Devils Backbone Brewery, dubbed The Festy Experience, now in its' second year of success. 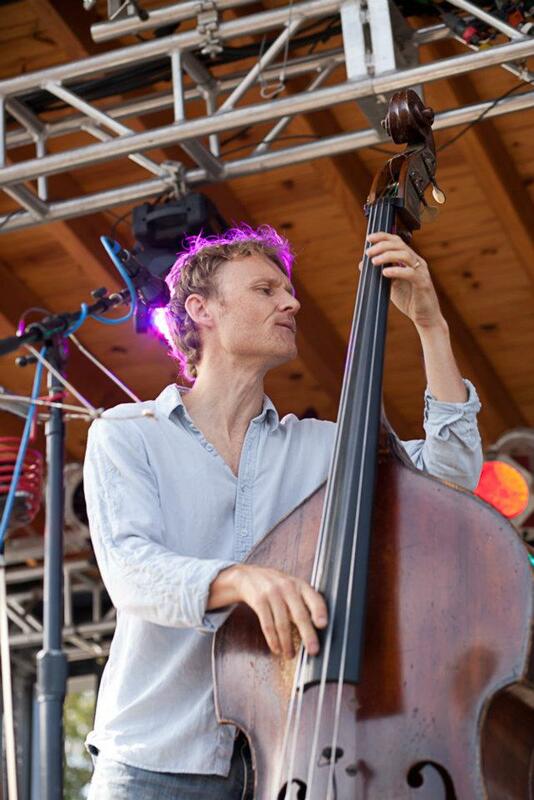 Located in bucolic Nelson County, Virginia and on the grounds of Devil's Backbone Brewery, the sophomore effort of this festival was even smoother than the first. 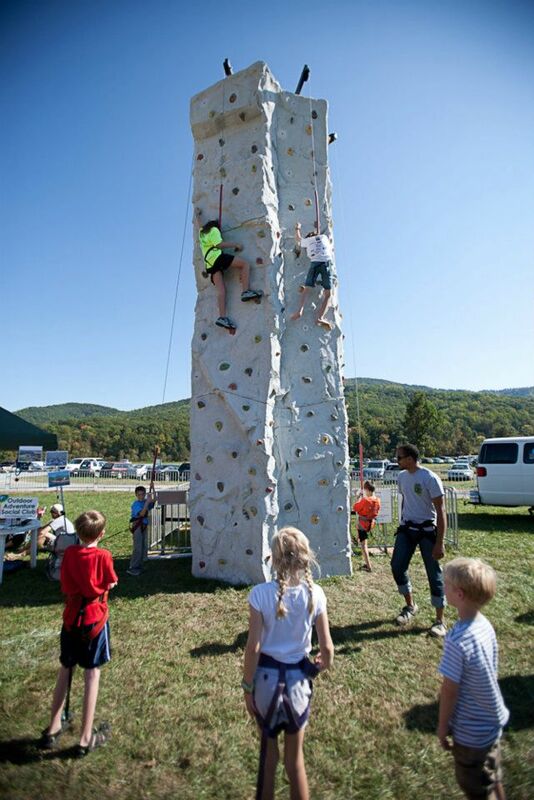 It's hard to take issue with any part of the camping and RV areas, unlike some challenges with Festy attendees, in 2010. [Which remains the only issue I ever heard taken with Festy 2010.] Once again, the weather was textbook perfection, and the stage lineups were creative and well considered. I only wish a child's soccer game hadn't kept me from arriving on Friday, for Toubab Krewe and Railroad Earth.. I chatted with some other Saturday arrivals as I checked out merch, and eyed up the ice cream vendor next door for later in the day. Rebekka F. from Baltimore, Md. was looking forward to seeing her first Infamous Stringdusters show. "I love them, and it's crazy that I haven't been able to see a show of theirs before now," she said, as she struggled with blankets and chairs as she waited for friends to buy beers. " I couldn't come last year, but nothing was keeping me away, this time," she said. I did run into a number of people who had not been last year, but came in 2011, after so much good feedback from first year attendees. My family and I were among those inagural attendees. I must agree that they took all that worked from the first year, and most of it did.. And then they just tweaked here and there. I was particularly impressed with Green Team efforts. The place was clean pretty much any time I thought to look down and around and check.. Don't recall a single overflowing trash can.. In fact, in an effort to reduce the festival's environmental footprint, on-site composting and the use of as much sustanable packaging as possible, ruled the day. And this was apparently all by design.. In a recent interview with Grateful Web, guitarist Andy Falco explained the evolution of The Festy..
"We play so many festivals all over the place. And usually as a band, when we leave a festival you get to thinking: 'How cool it was, that they did - this..' or 'I didn't like so much how they did that,' and so forth.. It came to be a bit like [market] research. It's the kind of place you can go and rage and have yourself a good time -- but -- you can [also] bring your kids. There's stuff for kids -- too." And as a seasoned festivarian, and the parent of a small child, I wholeheartedly agree. Daytime kids zone activities were well attended, varied, well supplied, and loads of fun. Who knew that 10 or so bales of hay would provide so much entertainment to so many children? I think I might copy that idea for a coming Halloween party.. Great organic, vegetarian, and locally-produced food options, beer selection, and vending. I do think they might've used a bit more vending in the coffee department... Perhaps that's already in the works for 2012..
Musically, I had a couple of surprises, and they started with Lakeside Dive. [not DRIVE] I'd never heard of them, and still don't know much. But I want to know more. Composed of drummer Mike Calabrese, bassist Bridget Kearney, vocalist Rachael Price, and trumpet-wielding guitarist Mike “McDuck” Olson, it's hard to pinpoint their exact style. And I like it that way. One defining characteristic is the haunting voice of Rachael Price. She stopped me cold the moment she opened her mouth.. I stopped shooting and just watched her, for a full song, before continuing. She can sing jazz, pop, motown, whatever.. I was really excited to see The Wood Brothers.. And I wasn't disappointed. Brothers Chris and Oliver joined with drummer Jano came out blazing and played for me the second strongest set of the weekend proper. [I didn't hear Friday's sets..] Saturday's Emmitt-Nershi Band set was raucous and fast. Sunday brought a visit from David Grisman's Sextet. I enjoy Dawg Music every time I can get to hear some. But the weekend belonged to The Infamous Stringdusters..
"We all come from sort of different kinds of music, but the common denomenator is Bluegrass. It's part of our musical DNA's individually, and as a group. Your musical DNA is sort of taking all the stuff you've heard through your life and it SHOULD come out in the music.. There were times when Andy was ripping a solo and it sounded like a 'shred-solo,' I mean.. You know? This stuff comes out.. I play a lot of bluesy stuff, you know? I come from an electric background.. Stuff influenced by Hendrix, in my playing.. I mean, that's all part of me, so it should come out in the music. And it's the same with a band.. That's what makes the band, SOUND like a band." And the band sounded great, and deserves a tip of the hat, for a well-run festival and great lineup of artists.. See you next year! 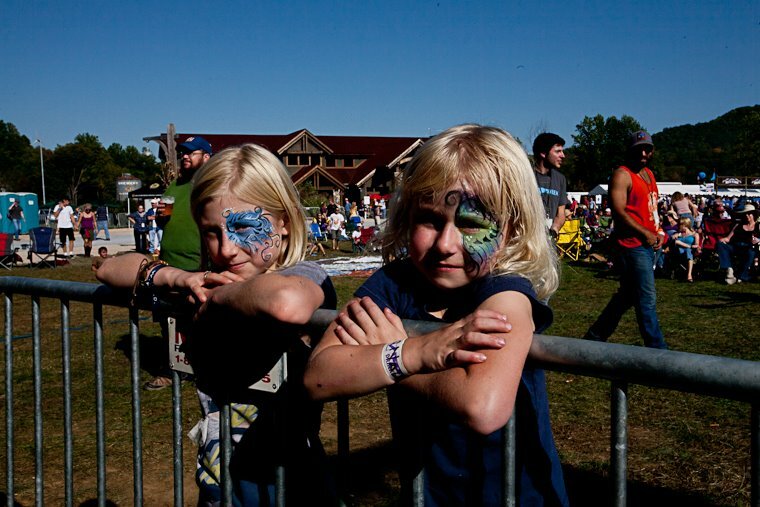 Check out lots more great photos from The Festy Experience.